Paper becomes the subject in this exhibition, drawn from the extensive range of over three thousand works on paper in the NERAM Collections. On Paper gives insight to the creative process, illuminates the intimacy of drawing and uncovers the unique materiality and diversity of paper as it has been used by artists throughout the 20th century through to contemporary times. 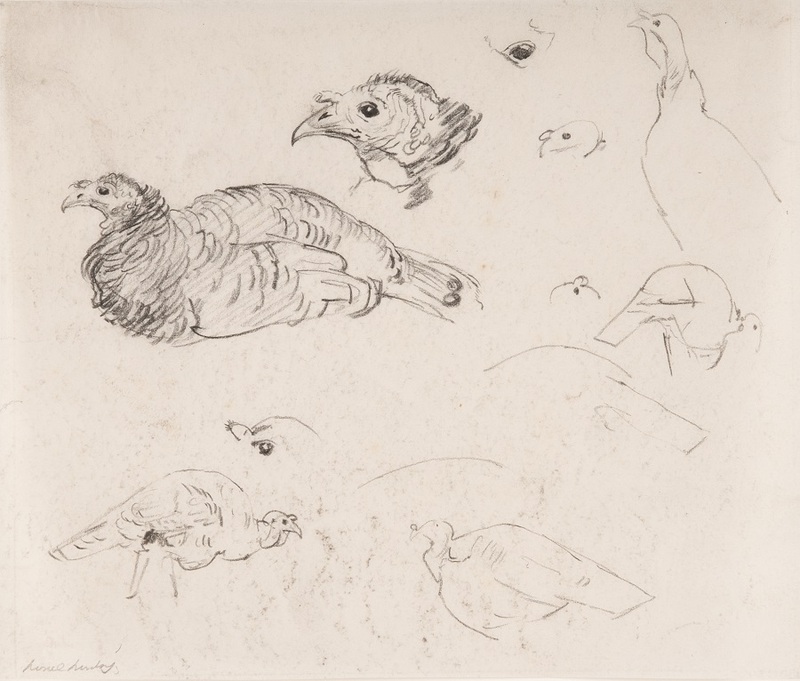 Image: Lionel Lindsay, Hans Heysen’s turkeys, c.1920. pencil drawing. Gift of Peter Lindsay 1991. NERAM Collection.